There are basic toiletries that I think most everyone can agree are necessities, antiperspirants among them. Over the years, I’ve read several medical articles substantiating the claims that the aluminum in deodorants can be linked to an increased risk in women of developing breast cancer, although nothing has ever been completely confirmed. My husband and I try to buy and use as many organic products for our family as possible on our budget and organic deodorant, or even all natural, is just too expensive for us. When I came across a recipe to try making it myself, using ingredients I keep stocked in our kitchen, I couldn’t wait to try it. We, and my teenage sons, have used this for a week and it’s worked as well as anything I’ve purchased from a store. The first batch had no scent, although the coconut oil did give it it’s own faint coconut-ty smell. To the second batch we added a few scant drops of lavender essential oil which made the deodorant smell wonderful, without being overpowering. For something so easy, good for you, and cheap, is there any reason to keep paying for over-priced chemical laced sticks from the store? This deodorant is not only husband approved, but teenage boy proof! Not a single whiff of funk from any of my guys, all for pennies on my part. In a small bowl mix cornstarch and baking soda until evenly combined. Stir in coconut oil until evenly combined. 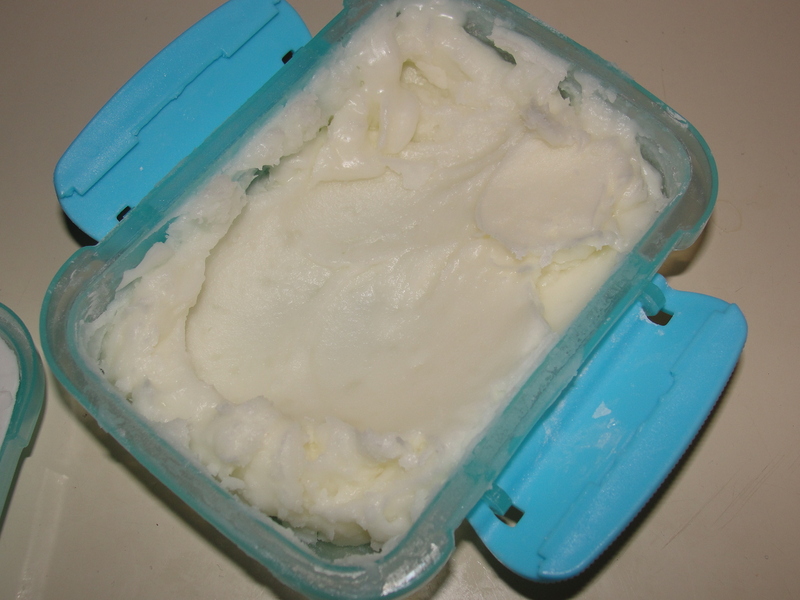 Put mixture in a container, or empty deodorant stick, for storage and use. Deodorant can stay out, but it will be more of a paste to apply. If you want a hard bar to rub on, store in the refrigerator.